Our intro to ice climbing has been a popular starting point for many guests looking to become ice climbers. 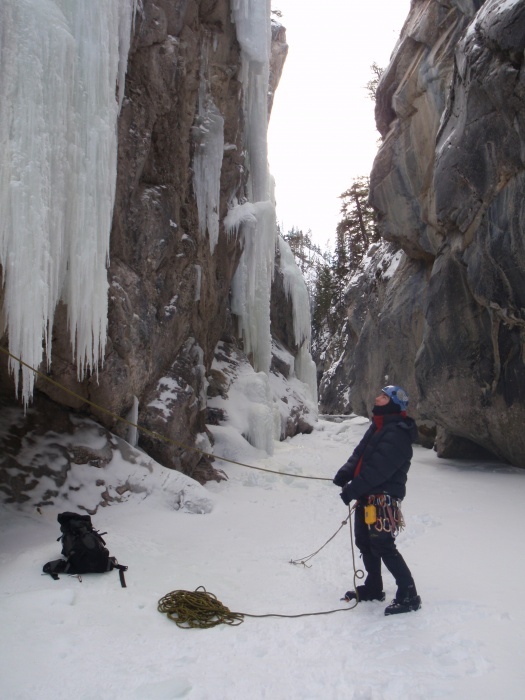 The Canadian Rockies are considered by many to be the ice climbing capital of the world. We provide all the climbing gear needed, you will need to rent mountain boots locally. 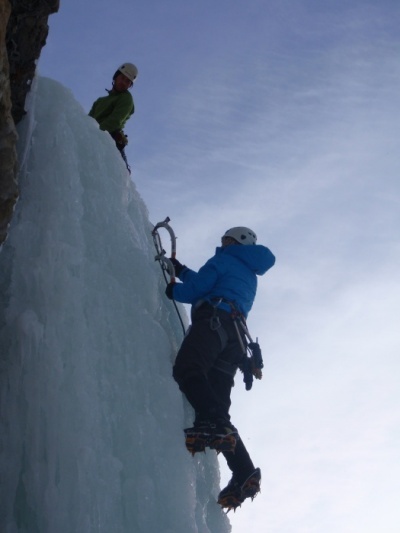 This can be a one day course as more of an ice climbing experience or a two day course to gain basic skills. - Welcome, introduction, goals and agenda. - Safety procedures and hazard awareness discussion. - Knots, harness, carabineers, rope and equipment familiarization. - Basic Ice Movement, how to use crampons and tools. - Top rope belays and climbing communication. - General ice climbing techniques for efficient movement on ice. 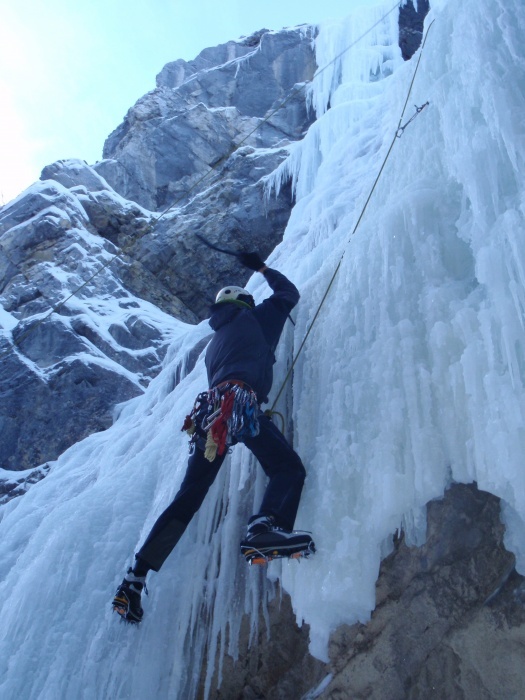 - Top rope climbs on the best ice training areas in Banff, Canmore, Kananaskis or Lake Louise. Two day course is a continuation from day one. - Technical belaying and climbing communication skills. - Climbing warm up and hazard assessment. - Introduction to steep ice climbing techniques. - Climbing with personal coaching on steeper climbs. - Placing and removing ice screws. - Basic anchor construction for top roping. - Introduction to following a lead ice climber. - Climbs in Banff, Canmore, Kananaskis or Lake Louise. Follow up on day 3 with a guided ascent of one of our classic multi pitch routes. Call any time to book your preferred dates. Banff, Canmore, Kananaskis or Lake Louise. Grade 2-4 ice, great for starting out. 1 or 2 days of instruction. 4 guests to one instructor max. Fees are quoted per person per day in Canadian funds. Full rental ice package cost $40.00 per day for Ice tools, crampons, helmet and harness.